Add texture and definition to lifeless locks with Paul Mitchell Neuro HeatCTRL™ Volume Foam; a lightweight, conditioning formula with advanced thermal protection. Powered by breakthrough HeatCTRL™ technology, the mousse helps to reduce the rate of heat transfer from roots to ends; it shields against heat damage, whilst delivering body and bounce during blow-drying. 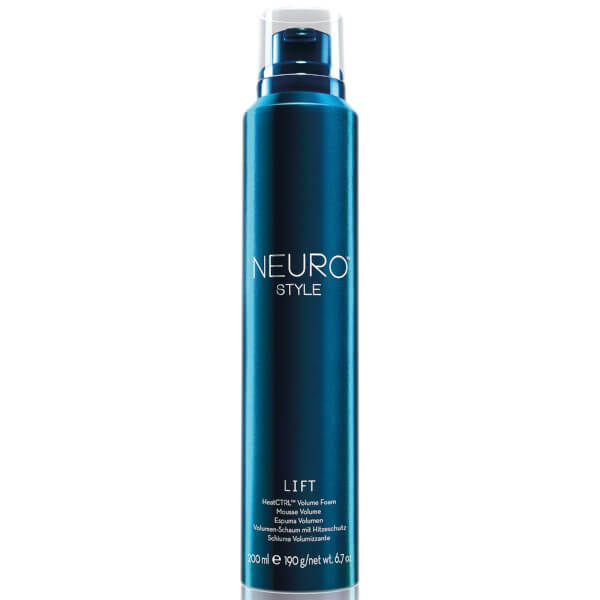 The volumising formula provides medium hold and lasting fullness for salon-worthy results. Apply to damp hair starting at the scalp. Create a smooth, volumised blowout, or use with a diffuser to define waves and curls. For best results, use with the complete Neuro system.